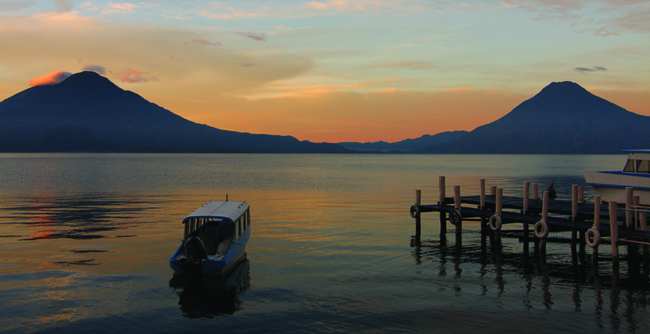 Guatemala is a country sprinkled with ancient shrines and temples from the Maya civilization; a landscape made for active travelers eager to trek its volcanoes, explore its caves and rainforests, and discover its diverse tropical flora and fauna—but all this is only a slice of what Guatemala offers travelers today, and now travel agents can learn even more about this Central American gem with the launch of Recommend’s new Guatemala Specialist Program, where participants are eligible for a drawing to win one of two FAM trips. If you have clients ready to book a family-friendly vacation to Guatemala, Thomson Family Adventures is offering a 9-day Guatemala: Tikal, Pacaya and the Magic of Atitlan trip exploring the regions of Lake Atitlan, Antigua and Tikal. From kayaking the crystal-blue waters of Lake Atitlan surrounded by its three towering volcanoes to visiting the colonial city of Antigua on a guided walking tour of its cobblestone streets and camping at the ancient ruins of Uaxactun to explore the impressive Maya ruins at Tikal, this itinerary presents the very best of Guatemala the whole family can enjoy. Rates for adults start at $4,290 pp and $3,990 per child. For more information, visit familyadventures.com/destinations/guatemala. Guatemala City-based Clark Tours’ new Nature & Archaeology tour meanwhile, is for those special interest clients and returning visitors eager to expand their knowledge of the destination. 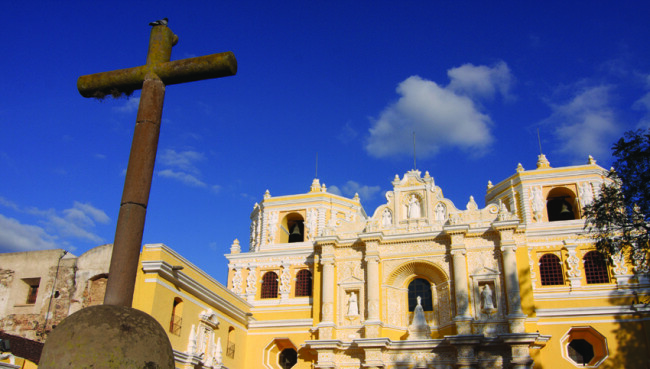 The itinerary begins and ends in Guatemala City with routes to Baja and Alta Verapaz, visiting Semuc Champey. The itinerary then takes travelers across the border into Honduras for two nights at Copan before returning to Guatemala to cruise Rio Dulce en-route to Livingston before travelers head off to Flores and Tikal for a 3-night stay to visit the Maya sites of Yaxha and Topoxte. Cost is $1,381 pp dbl, with first-class accommodations (breakfast included), overland transportation and sightseeing with an English-speaking tour guide. For more information, visit clarktours.com.gt. For families planning a visit to the breathtaking Lake Atitlan, surrounded by its towering three conical volcanoes, recommend the 60-room Hotel Atitlan, located outside Panajachel, Lake Atitlan’s main tourist town. The property, which sits on a former coffee plantation, has its own boats and dock for lake tours, as well as a nature preserve with a butterfly farm, trails and zipline. Starting rates are $145 a night. For more information, visit hotelatitlan.com. For a beachside vacation, the 61-villa Amatique Bay Resort and Marina is the most complete beach resort on Guatemala’s Caribbean Coast. The property was built on and around the ruins of a colonial-era port, which includes an old Catholic church, lighthouse and fort. Guests can take a day out on the water scuba diving and snorkeling along the Belize cayes or schedule a boat ride to Belize; take a 1-hour guided horseback riding tour or kayaking tour along the Pichilingo River. Call for rates. For more information, visit amatiquebay.net. Clients willing to take a walk on the wild side will not be disappointed with Chiminos Island Lodge, a jungle lodge offering five deluxe cabins on a small island in Petexbatun Lagoon. Here, guests can hear and observe howler monkeys, toucans and exotic parrots. Blended into the rainforest, and several hundred feet away from each other, each bungalow has a private en-suite bathroom, hot water and is protected from insects and other animals outside. 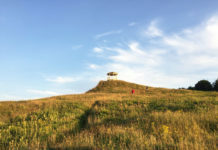 Outdoor activities include nature walks, hiking, birdwatching, swimming, fishing and canoeing. High season rates start at $135 pp per night; $75 per child under 12 years old. For more information, visit chiminosisland.com. In addition, agents who have completed the Guatemala Specialist Program will be entered to win one of two 4-day, 3-night Guatemala FAM trips for two people (land-only), courtesy of Clark Tours of Guatemala. The drawing will take place at the end of the year.